Lake Country - CCS Flat Black Finessing Pad 6.5"
Lake Country CCS Flat Black Finessing Pad 6.5"
Lake Country Black Finishing Flat Pad 6.5 "
Lake Country Black Finishing Flat Pad's composition is firm enough to withstand added pressure during final finishing to remove buffer swirls. It has no cut and will apply thin, even coats of waxes, sealants, and glazes. Lake Country Black Finishing Flat Pad 6.5 " Lake Country Black Finishing Flat Pad's composition is firm enough to withstand added pressure during final finishing to remove buffer swirls. It has no cut and will apply thin, even coats of waxes, sealants, and glazes. This is specially designed for DA Polishing machines. The Lake Country Mfg design team came up with a way of improving upon the 6.5 foam pad by adding more Velcro. The material goes almost the way to the edges of the pad to ensure the most contact between the backing plate and the pad. This provides you the best holding power on the pad when you polish. Plus, the increased Velcro brand hook & loop material means you can use the 6.5 pads with 5 or 6 backing plate. You can even use these pads on your rotary polisher because they accommodate a 6 rotary plate. Lake Country dual action pads are now suitable for both rotary and dual action buffers. An advanced bonding system permanently attaches the hook & loop material to the pad to prevent slipping and detachment. Advanced foam compositions and user-friendly design will make your polishing experience safer for your vehicle and easier for you. 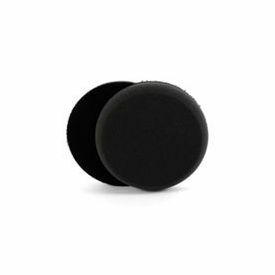 Lake Country Flat Foam Pads are made of imported German foam, and these 6.5 pads have been improved to feature a flat surface. Lake Country pads reduce heat build-up and spontaneous heat transfer between the machine and the pad. More pad-to-paint contact allows you to work more efficiently than you could with variable contact pads. The old pads required the user to apply more pressure in order to flatten the pad against the paint. These new flat pads allow the machine to do all the work for you.